Lung disease is medical condition. Many people suffer with lung disease. Smoking, infection and genetic factors are responsible for it. Lungs bring oxygen and remove carbon dioxide from the body. Unfiltered air enters into lungs when you take breath through mouth. This becomes the reason of lung infection. Drinking water after having fruits may create lung infection. This increase cough and increases infection in lungs. Drinking cold water or cold drinks during sweat disturb the gout. 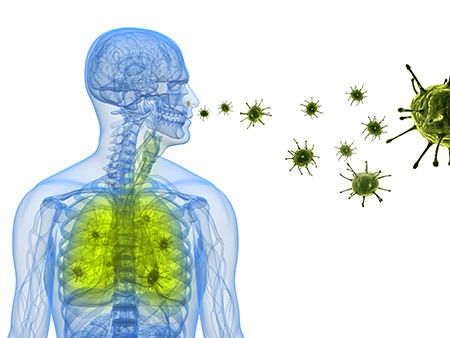 This increase the risk of lung infection. Staying in polluted and smoke area increase the risk of lung infection and lung disease. In the ICU ward of the hospital without wearing a mask may create lung infection. Because the present bacteria go straight into the lungs.